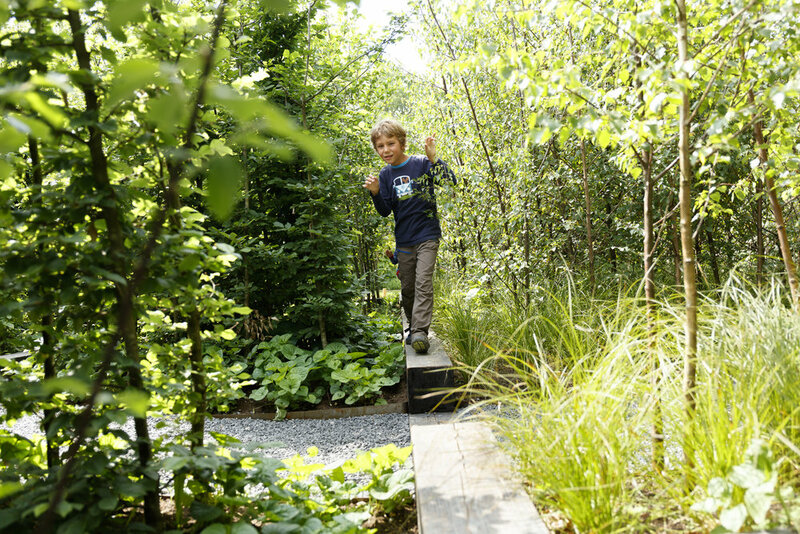 5,000 miles, 355 trees, over 40 custom lumber pieces later, "Into the Woods" has been recognized with the prix de la Création at the Chaumont-sur-Loire International Garden Festival in the Loire Valley of France. Thank you to RAFT Landscape Architecture and FORGE Landscape Architecture for inviting us to be part of their team! 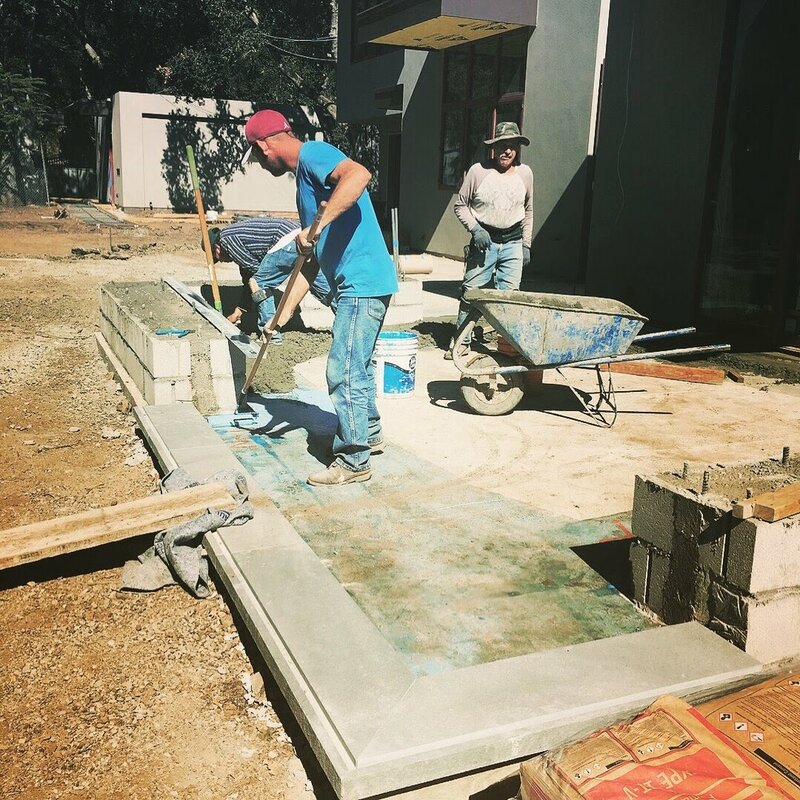 Construction on the landscape is commencing on our Atherton residential project. See below for some of our first site visits and field mock-ups. More to come! SHED selected for new Bridge Housing project with Leddy Maytum Stacy Architects! SHED is happy to announce we've begun work on a new Bridge Housing project in collaboration with Leddy Maytum Stacy Architects. This affordable housing project is part of the Bay Meadows development in San Mateo, California. The project will feature an inner courtyard with islands of planting, seating and a children's play area. Stay tuned for updates! A rendering of the Civic Center Plaza with the temporarily relocated farmer's market, under the cover of a temporary shade canopy. A plan reflecting the maximum number of potential vendor stalls. SHED has begun preliminary designs for a custom residential project on the Peninsula. The 1.3-acre site will feature several terraces, an oak and redwood parkland, places for sculpture and an interior courtyard. Landscape construction is to begin in 2017 - stay tuned! As part of the AIA's Architecture and the City Festival, SHED has partnered with Heart of the City Farmer's Market held in United Nation's Plaza in San Francisco's Civic Center. The design prompt: "How can the design of public space help bring healthy regional food to San Francisco’s food deserts?" Come see Jenny Sasson's presentation on September 29th - tickets available here. Schoolyard Garden Construction to Begin in April! 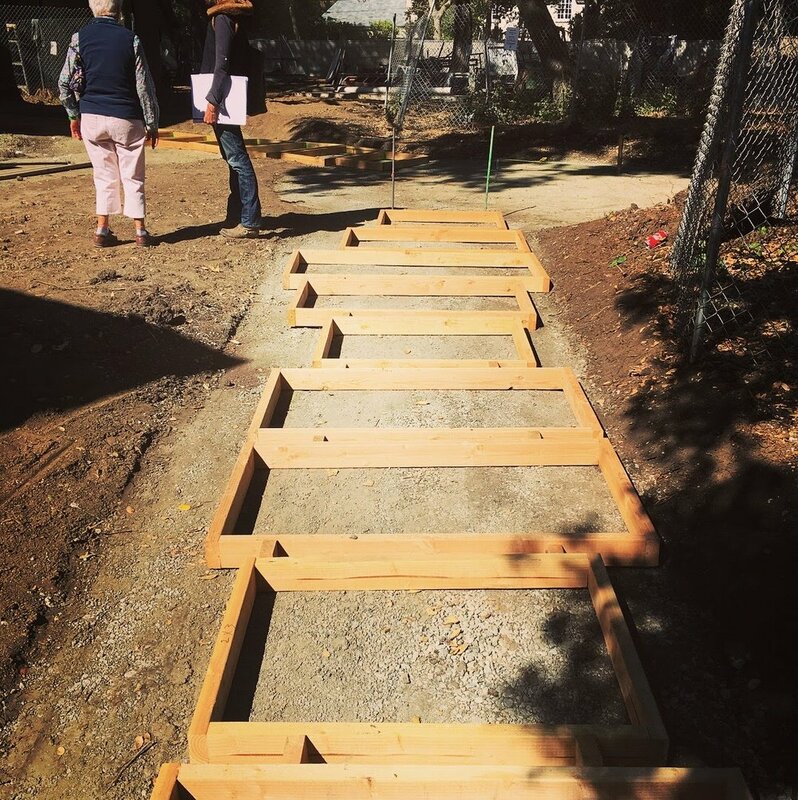 SHED, in conjunction with a nearby elementary school group, has developed a redesign of an old, dilapidated school garden in Orinda, California. The garden will feature raised planter beds for each grade level, as well as border planting composed of edibles, pollinators and habitat to support native birds and insects. 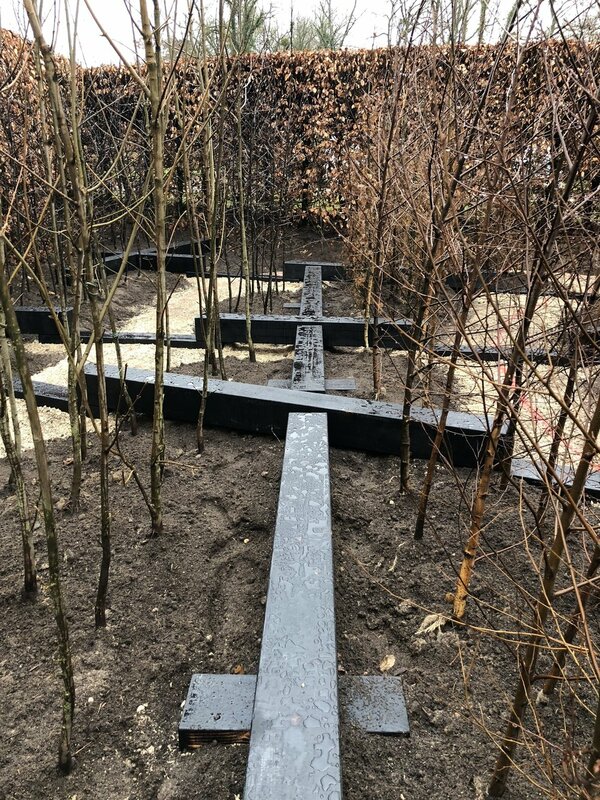 The central feature of the garden will be terraced steps and a shade structure composed of deciduous grape vines on metal cables, allowing sun in the winter/spring and shade in the summer/fall. Construction to begin in early April - stay tuned for photos! SHED has completed Schematic Design for the transformation of this Orinda residence. The design takes into account future expansion of the main house, as well the addition of a new pool house and outdoor kitchen. Water-saving elements include drought-tolerant planting and rain barrels to capture stormwater for future reuse in the garden. 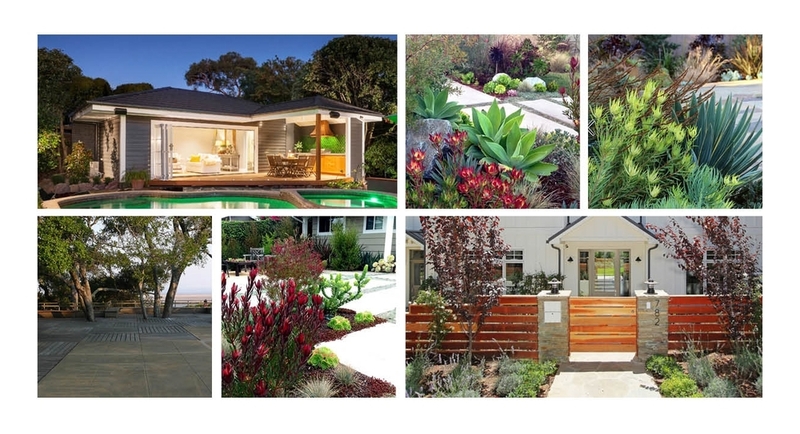 Like many homeowners in the drought-stricken Bay Area, the owners of this Orinda home want to reinvent their front landscape to a planting scheme that is more water-wise and visually appealing. SHED has begun redesigning the front landscape to include drought tolerant plantings that have seasonal, visual and spatial interest. Phase I of the project will include a foundation drainage system with the incorporation of rain barrels to capture stormwater for its reuse in the garden. Stay tuned for updates!